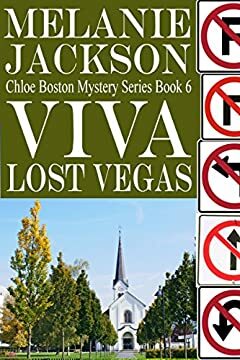 "Viva Lost Vegas" is the sixth book in the Chloe Boston Cozy Mystery Series. The path of true love is often rocky, but Chloe and Alex are trying to smooth the way by eloping to Las Vegas. On the way, they take a detour through a ghost town and find a body in a pink Cadillac. Someone is killing Elvis impersonators. Will they be hearing funeral bells or chapel bells on their wedding day?